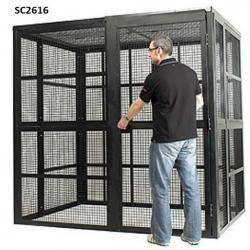 All our fully welded mini security boxes are constructed from steel angle & 25 x 25mm weld mesh. They are ideal for the security of both hazardous & valuable materials especially where space is at a premium. A padlock facility is supplied and the cages are all load tested and CE certified with a massive 3 year manufacturers guarantee. Cranage Eyes for easy lifting are provided , it is recommended to use a load spreader when using the cranage eyes. 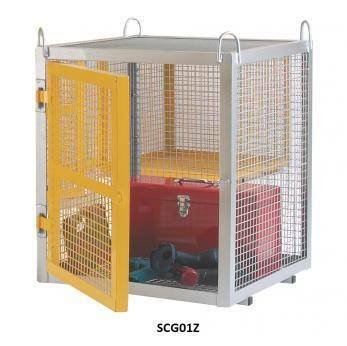 Fully galvanised unit with yellow powder coated doors for an attractive finish.